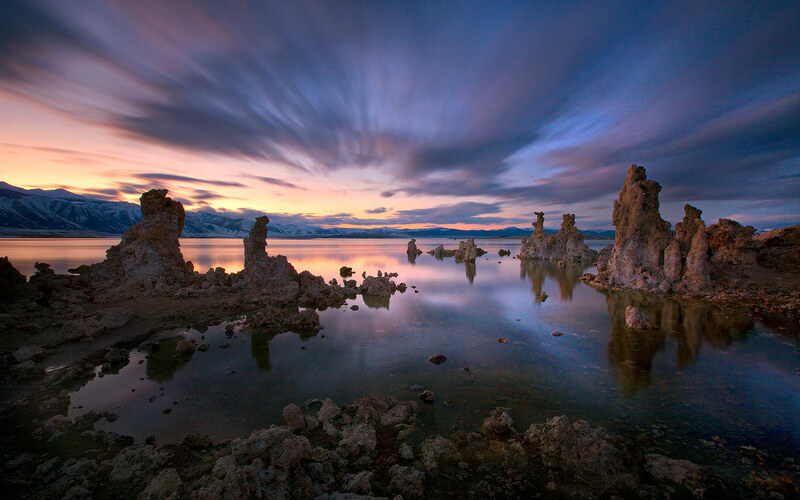 California's Mono Lake photographed at twilight. A long exposure creates the streaks of clouds and smooth water effect you see. Photo © copyright by Marc Adamus.